This course is designed for participants seeking an opportunity to expand their understanding and practical knowledge of advanced concepts around the benefits design process. This course puts fundamental knowledge around health and welfare benefits into play by addressing advanced concepts around how to evaluate, select, design, cost and fund health and welfare programs. This course has been newly updated to include review and discussion of the Affordable Care Act. 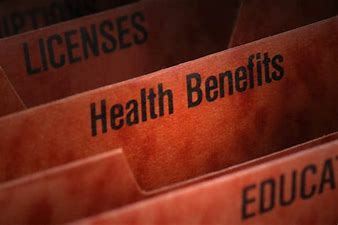 Topics include strategic assessment, conducting a gap analysis, plan selection and design, costing benefits plans, funding arrangements, and gaining management buy-in and approval for implementation of the new and proposed benefits plan. Evaluate how the overall organizational strategy, human resources strategy and total rewards strategies work together to guide benefits decisions. Conduct a gap analysis to determine the current state of benefits offerings versus the desired state, while keeping a realistic view of potential barriers. Analyze benefits selection and design considerations to determine if your current design is meeting the needs of your organization and decide whether these offerings are still an appropriate fit for your organization. Examine costing considerations and estimate the costs of existing and proposed benefits plans. Consider the different types of funding mechanisms and discuss which approach will work best for your organization. Review and discuss the Affordable Care Act. Examine how to gain buy-in and support for the proposed plan by creating and presenting the business case for senior management. Out of Town: If you plan on staying, please make reservations in advance no later than 2 weeks prior to check-in date directly with Hyatt Place Dallas North.